Wildlife Institute of India ENVIS center on Wildlife & Protected Areas presented a poster during XIII Internal Annual Research Seminar of Wildlife Institute of India on 31st August 2017 showcasing its 20 years of environmental information services in the field of wildlife conservation and protected areas. 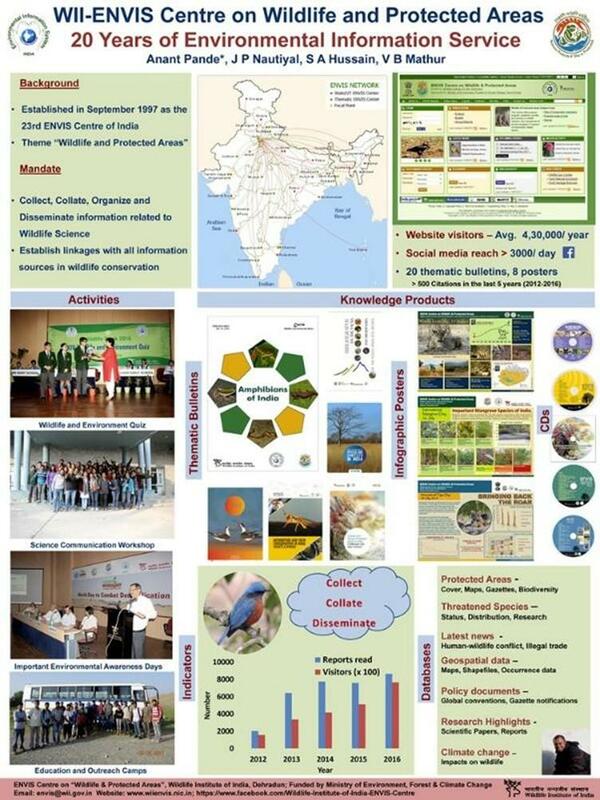 Poster showcases the center’s activities, knowledge products and its online database etc. More than 100 participants including students, researchers and faculty visited the poster and were informed about the various activities of the center.